If you’re still having trouble, email us at shawsstarsupport@mscripts.com. If you have forgotten your password, go to this link https://pharmacy.shaws.com/shweb//#/forgotPassword and just enter your email address. We will send you an email with a link that you can use to reset your password. Alternatively, you can also use the ‘Forgot password?’ option on the sign in page of the webpage. If you have forgotten your email address, please contact our technical support at shawsstarsupport@mscripts.com. You can do one of two things. Either contact our customer support team at shawsstarsupport@mscripts.com for assistance. Or, if you’d prefer, you can simply create a new account. What kind of browser do I need to use the Shaw's Star Market Web Pharmacy? 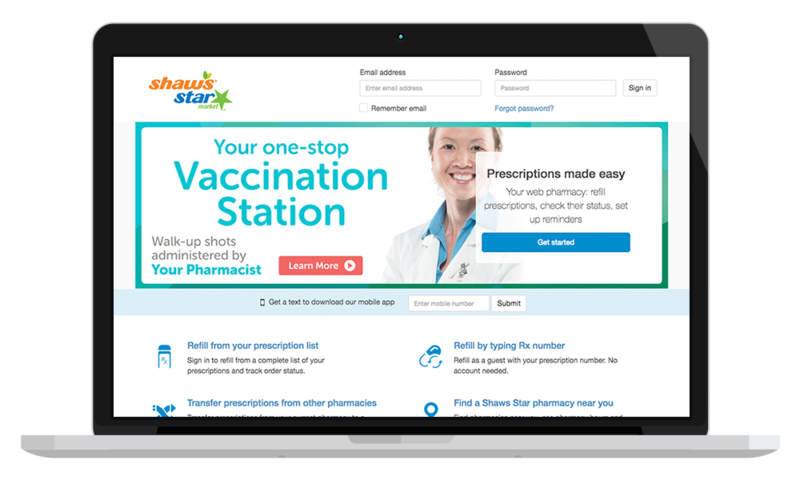 You can easily transfer prescriptions from other pharmacies outside Shaw's Star Market to a Shaw's Star Market pharmacy.